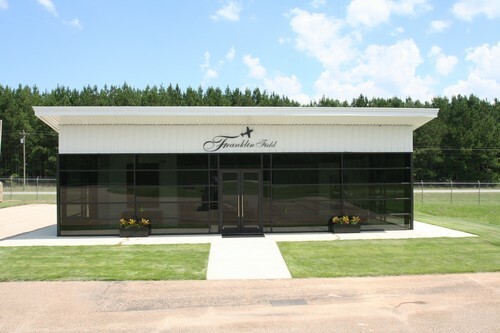 We are located in a beautiful rural setting just east of Montgomery, the Capital of Alabama. We have a newly constructed "micro terminal" builidng so if you are desiring a very easy stop for fuel, restrooms or free drinks please check us out. We are building new Hangars and will be extending our runway in the near future so keep us in mind if you are considering relocating or moving to a location of the country that offers incredible nature at affordable pricing. We offer location services if you are interested in plantation property or country estate property of any size that would put you minutes away from our airport and the modern eastern growth of our State's Capital. Contact Thomas Main for more information. Self Serve Avgas, Hangars, Clean Modern Restrooms, Conference Area, Free Drinks, Ground transportation can be arranged if you contact us before arrival. Enter unicom code in electronic keypad to right of front door. Wave your hand by motion switch to open when leaving.